The Stock Photo Guy - John Lund Stock Photographer: Evil eyes in computer circuitry: A stock photo about the dangers of Artificial Intelligence, hackers, and malware. Evil eyes in computer circuitry: A stock photo about the dangers of Artificial Intelligence, hackers, and malware. 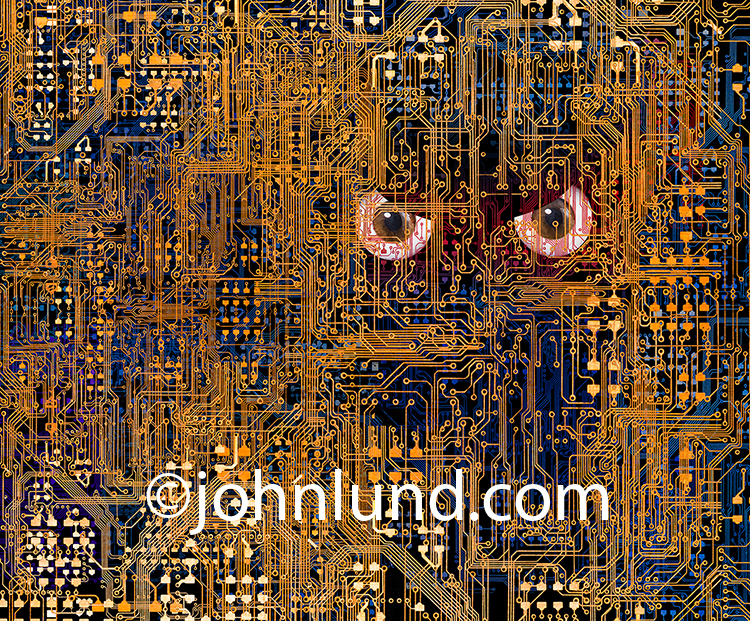 Evil eyes in computer circuitry...a humorous stock photo about the dark side of artificial intelligence and online threats such as hackers, cybercriminals and malware. Artificial intelligence run amok, spyware, malware and hackers are all ideas that are creatively shown in this stock photo of a pair of evil looking eyes staring at us from within a complex network of computer circuitry. This one image can address so many dangers and threats that exist in cloud computing, the Internet, and networks on a global basis, and do so with compelling humor. Pretty cool! The computer circuitry is an iconic indicator of all things computer including computers, servers, networks and the Internet. The eyes in this image have the inverted arch of a severe from or an evil intent…a graphic that has only been intensified in all of us through cartoons that we have all experienced throughout our lives. 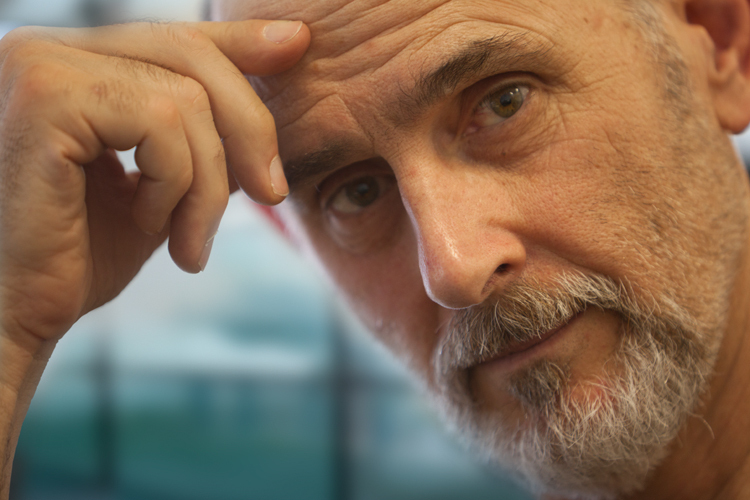 The “monster” like aspect of these eyes are enhanced by the fact that some of the computer traces that overlapped the whites of the eyes are red…as if the eyes had the red veins that are a further indicator that all is not well. The eyes are all we see within the circuits leaving our imagination to flesh out the details of the threat that is eyeing us. Depending on the headline and text that accompany this image that threat could be Artificial Intelligence turned against mankind, spyware, malware, or the hackers and cybercriminals themselves. Like most good stock photos the image has been carefully crafted to allow for cropping to square, vertical or horizontal formats…and in this case the image also is easy to crop for banner ads as well. It is a quick read even at thumbnail sizes with a clear message of evil intent. Because the image can be used so often in so many ways, from online ads to newsletters to print advertising to social media and blogs, I made it an RF image and placed with Getty Images. How an image is distributed is perhaps more important than the image itself…if nobody sees it nobody licenses it! As we grow ever more dependent on computers, networks, and artificial intelligence, the need for visuals (read stock photograph) that deal with such developments, will increase exponentially. I don’t think you can go wrong at this point in creating stock that addresses the dangers, problems, challenges, and rewards of both networks and artificial intelligence.